Game recaps, Kings fire head coach John Stevens, injury updates and more in your NHL morning coffee headlines. 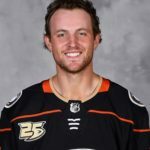 NHL.COM: Cam Fowler tallied a hat trick, including the winner in overtime, in the Anaheim Ducks’ 3-2 win over the Columbus Blue Jackets to snap a seven-game losing skid. The Ducks played without captain Ryan Getzlaf, who’s day-to-day with an upper-body injury. Brayden Point’s last-minute game-tying goal set the stage for Yanni Gourde’s overtime winner to give the Tampa Bay Lightning a 4-3 victory over the Ottawa Senators. Lightning defenseman Ryan McDonagh collected three assists. Senators goaltender Craig Anderson made 41 saves. Henrik Lundqvist kicked out 39 shots and Jimmy Vesey scored two goals as the New York Rangers defeated the Buffalo Sabres 3-1. The Rangers played without defenseman Adam McQuaid, who’s listed as week-to-week with a lower-body injury. LOS ANGELES TIMES: The Kings fired head coach John Stevens, naming Willie Desjardins and Marco Sturm as interim coaches. SPECTOR’S NOTE: With the Kings mired at the bottom of the Western Conference, management had to do something to keep the season from spiraling out of control. A coaching change, however, might not be enough. I’ll have more on this later this morning in the Rumors section. PHILLY.COM: Philadelphia Flyers goaltender Brian Elliott left practice on Sunday holding his head following a collision with teammate Travis Konecny. An update on his condition is expected today. WINNIPEG SUN: Jets forward Nic Petan made his return to the lineup on Friday after missing most of training camp and the first 13 games of the season due to the sudden death of his father. He’s appreciative of the support he received from the team and the league. CSN WASHINGTON: The Capitals placed forward Nathan Walker on waivers. Brendan Lemieux’s hearing will take place tomorrow afternoon. A revealing column by Travis Yost of TSN today in which he shows, with historical numbers, that the Kings have been weak offensively for years. Good luck to Willie Desjardins and Marco Sturm – they will need to perform magic tricks to elevate LA back to respectability.